A sophisticated Public Transport Ticketing System often involves the need for enforcement. More specifically, the transit company needs to be able to check tickets and cards and make sure that passengers have validated or paid for their current trip. In order to this, mobility is needed. In many instances, flexibility is needed in order to deal with different transit companies and multiple tariff systems. Transway’s Xpedition Inspector 4020 is up to the challenge and enables the transit authority or company to manage passenger compliance with the validation and payment regulations. Inspectors, conductors and ticket sellers all benefit from the Transwayfamily of hand held devices available. All of these devices have the capability to communicate with the TapNGo back office through WiFi or cellular communication technologies. 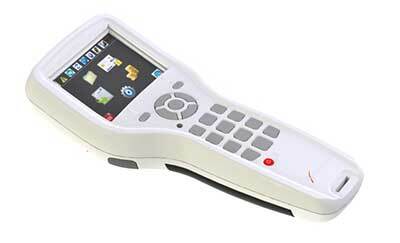 The handheld terminals are ergonomically designed and can also be made stationary in the case that this is preferred. In order to enforce, you need to be updated, and Transway’s handheld solutions communicate in real time with the back office and cashier station keeping your inspectors ahead.